Fantastic concept in a flying toy! 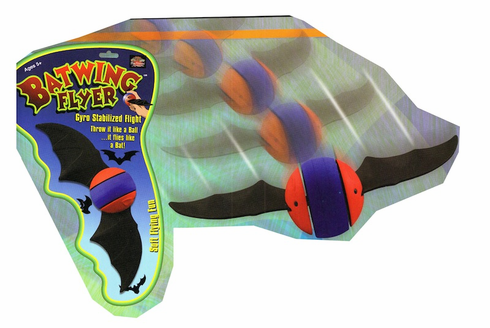 The center core of the ball has a spinning gyroscope that stabilizes the item in mid-flight. Throws like a ball, flies like a bat!